Analysis: Definitely recommended! This one has obviously paid the most, and is one program that will pay you if you’re just looking for straight money without referrals. Here are some tips and advice I can pass on, to hopefully make it easier for you to earn without any unnecessary rejections or problems. Sign up for an account at a Turker forum to get a good idea of who to work for, and who to avoid. Some helpful forums devoted to MTurk are MTurk Forum, CloudMeBaby, TurkerNation, MTurk Grind and mTurkWiki. Install the TurkOpticon browser extension and check Requester reviews before doing any of their work. Don’t work for someone who pays too low, has arbitrary rejections, or is an out and out scam requester. Once you get comfortable with the site, be sure to start leaving reviews of your own so you can help new Turkers too. Once you’ve got an idea of which Requesters you like the most, sign up for an account at TurkAlert at http://www.turkalert.com/ to get emails as soon as your favorites post HITS. I tend to primarily do transcription, with an occasional research survey here and there. I only log into MTurk for less than hour per day, so my earnings are very low. There are many people making much more money than I do there, because they devote the time to it. I do transcription offline for a local college, so that’s what keeps me the busiest during the day. However, I like to log in once daily and get a few HITs in just to keep my account active. During the holiday breaks when school is out and there’s no work to do offline, having MTurk to fall back on is a real lifesaver. US members can get paid by direct deposit to a checking account or prepaid debit card, or by Amazon Gift Card codes. The minimum payment is $10.00 by direct deposit, or $1.00 to a gift card. Personally, I choose the gift card option. We use it to buy pet supplies and household goods in bulk that offer free super saver shipping, so that we reduce our monthly grocery bill. International? This I’m not so sure of any longer. They used to routinely accept members from all countries, but I started hearing in late 2012 that they were only approving new US accounts. If you’re outside of the US, definitely try to apply, but be aware that they may not approve your application. I have heard rumors of certain countries not being accepted, and recently was contacted by someone from Australia who was declined. International? Yes! One of the few survey sites that accepts members from all countries. Recommended? Yes! They surveys are short, interesting and credit immediately. I’m very happy to add this to the Recommended list! ClixSense – Paid countless times! I get paid by ClixSense so often now, I’m not updating this image any longer. Pretty much it pays every week! Swagbucks – Paid many, many times! Paid? Yes! Multiple times. Payment takes about a week to arrive via PayPal. You can redeem for merchandise, gift cards or PayPal in their Swag Store. Minimum redemption for a $5.00 Amazon.com card is 450 SB, 2500 SB for a $25.00 PayPal payment. There are many other redemption offers in the Swag Store as well, but these are the two most popular. 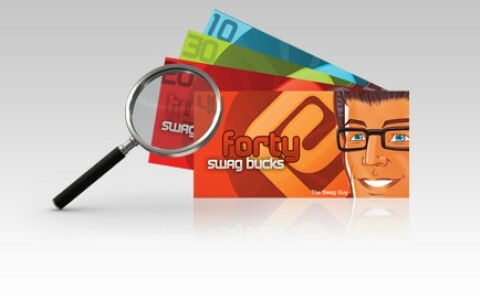 International: Swagbucks is open in the US, Canada, the UK, Ireland, Australia and India. This page was getting a little long with all of my prior payment screenshots. 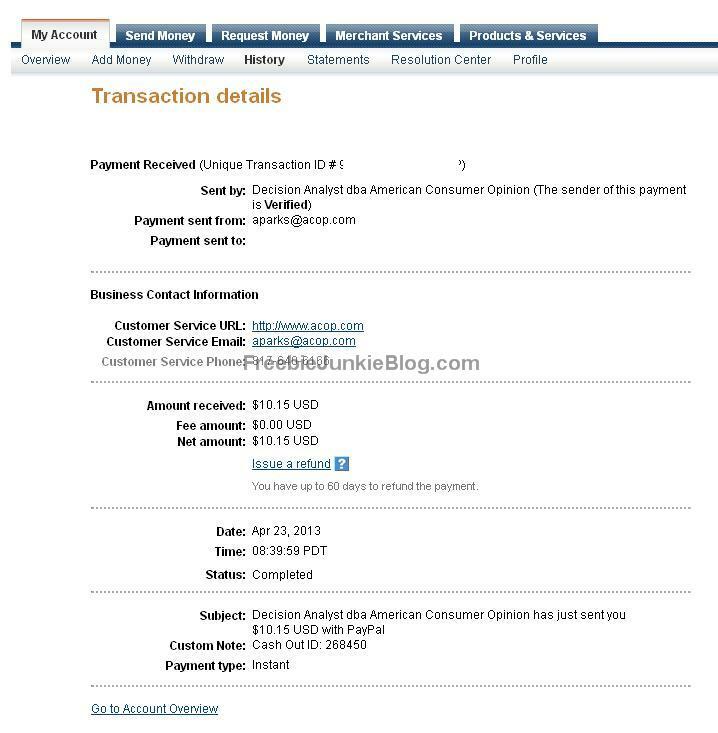 Below are payments from 2013, but I’m not updating these screen shots any longer. This is a trusted, elite site. 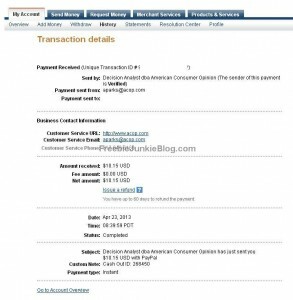 Older payment screenshots are here and here, for anyone who wants more proof. Referral program? Yes! You earn 20% from all the Hulk Coins that your referrals earn using the Offer Walls, EZ Coins, Tasks and Surveys. You also earn 20% from all of your referral wins at GiftHulk Search and Treasure Box. Minimum redemption is 5000 coins for a $5.00 Amazon Gift Card or PayPal withdrawal. They also have a wide variety of other merchandiser gift cards and offers at reasonable and reachable levels. Payments usually take one to three days to arrive. International members? USA, UK, Canada, Australia, New Zealand, France, Germany, and Ireland only. Initial Impression and Review: GiftHulk was another program I found by them following me on Twitter. This program is very similar to SwagBucks. 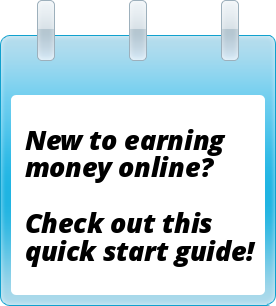 You earn in a number of different ways. They have the familiar Offer Walls and EZ Coins with paid videos, surveys and registrations, Daily Surveys, Crowdsourcing Tasks, “Fountain of Youth” codes, online games where the tournament leaders get points, a toolbar with additional point offers, paid searches, point sweepstakes and contests, and finally the ‘guess the card’ game, which awards various points. Recommended? Yes – GiftHulk is definitely legit and not a scam site. Paid? Yes. Minimum payment is $6.99. Site pays out on a NET 30 DAYS basis. I’ve opened a ticket and received a response back with the information they requested the same day. They are very fast and professional in responding to support requests. BuxP Review: I had originally joined BuxP as a way to generate referrals by exchanging earnings for advertising, but in September 2014 decided to try a cash out. This is an honest and legit site, and there are many payment proofs posted on the internet to prove it. There are always lots of ads to click each day, and many days I can’t finish them all.